As the old saying goes, "The road is new and the art must be new." New things have a strong vitality. People cannot lose the spirit of innovation. Enterprises also need to constantly innovate and develop. It is with this full of innovative enthusiasm that Shenzhen Opway Communication Technology Co., Ltd. (“Opway”) has maintained a steady growth of 30% in recent years. On December 1st, at the end of the year, ICCSZ conducted a return visit to our company. Mr. Bill Wu, the deputy general manager of Opway, received a visit from ICCSZ. ICCSZ: Hey, please tell us about the development since the acquisition of Tongyu's capital increase in May this year. In May 2017, we increased the capital of Tongyu Communications and held 58.8235% of our shares. Since then, we have had a strong backing. 1. After the capital increase in May this year, according to the company's development plan, we have established a new R&D/production base in Wuhan. At present, Wuhan R&D/production base has been put into formal operation. 2. This year, in order to increase the research and development and marketing of high-end products, the outstanding results are that 40G SR4/LR4 has been supplied in batches, and 100G QSFP28 LR4 has been sent to customers. 3. On November 22 this year, Tongyu Communications continued to increase its capital to Guangguang, increasing the registered capital of Shenzhen Guang to 210 million yuan, increasing the company's financial strength, accelerating the pace of research and development of high-end products, improving the technological level and perfecting. The automation transformation of the production line and the enhancement of market development capabilities laid the foundation. ICCSZ: Can you do some detailed introductions in the case of Wuhan R&D/production base? The Wuhan R&D/production base has been put into formal operation. Mass production of 10G optical modules was launched in September. In 2018, we plan to expand the R&D/production base in Wuhan to a scale of 130 employees, which can realize the large-volume supply of 1G/10G/40G optical modules; the R&D/production base is planned to be equipped with 20-30 R&D personnel, accelerating For the research and development of 100G high-end products, we will realize the high-end products to enter the market and supply in batches as soon as possible. At present, we are hiring a large number of talents in R&D, engineering, production, etc. We welcome the joining of people with lofty ideals in the industry! ICCSZ: I would like to ask how much is the current annual investment in research and development? Bill Wu: R & D strength is crucial to the optical communications industry. Only by concentrating on research and development can we acquire core competitiveness and core resources. In recent years, our investment in research and development has increased year by year. Especially after Tongyu increased its shareholding, the company pays special attention to the cultivation of R&D strength and the cultivation of talents. It is estimated that our R&D investment will be no less than 10% of sales in 2018. .
ICCSZ: I would like to ask you, how is the current position for yourself? 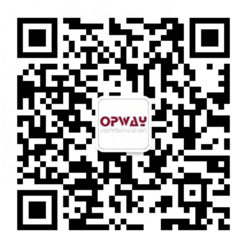 Bill Wu :: Opway is a serious analysis of his position in the industry. From the establishment of 2010 to 2017, we have transitioned from a “survival stage” to a “development stage”. Regardless of product structure or annual turnover data, we are currently in the third echelon of the optical module industry. In recent years, we have maintained a good growth momentum, with an annual increase of more than 30%. The company's board of directors recently formulated a development plan for the next 3-5 years. We hope that after the development of the next 3-5 years, we will have a big breakthrough in high-end products such as 100G, and the annual turnover will reach the order of 1 billion yuan, so that we can become the second in the optical module industry. The forefront of the echelon." This task is more difficult and requires us to continue to work hard to achieve this goal. ICCSZ: How do you think about the current hot topic of 5G in the industry? Bill Wu: I personally think that 5G as the will of the country, China will definitely attach great importance to it and its significance is also very important. 5G has the support of the country and hopes to become a business card in China in the future! However, I think that the industry's speculation on 5G is a bit overheated in the near future. The demand for 5G will be strong in the future, but it should not suddenly erupt, but will be piloted first, and then gradually expanded in big cities. In the face of the arrival of 5G, Guangwei is also well prepared, but the future is beautiful, but we must also guard against the existence of bubbles. Enterprises should pay special attention to grasping core competitiveness, and mastering core resources is the most fundamental way to survive and develop! Here, ICCSZ also wishes Opway to embrace the capital market as a “new starting point” in 2017, ushered in the “new development” of high-end products listed in 2018, and embarked on the “new journey” in the forefront of the second echelon of the optical module industry. ". Looking forward to the future, there will be more good news to share with us!